So the workshop with the ladies from the Euraba Paper Company (based up in Boggabilla, NSW) has come to an end with some great results. 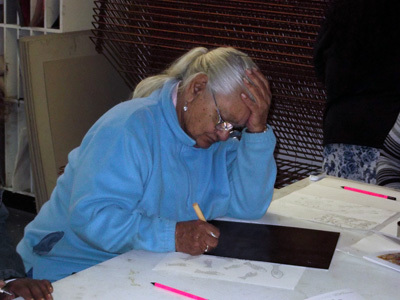 The participants of the workshop were Aunty May Hinch, Aunty Joy Duncan, Christine Dumas, Leonie Binge, Lola Binge and Deborah Knox. 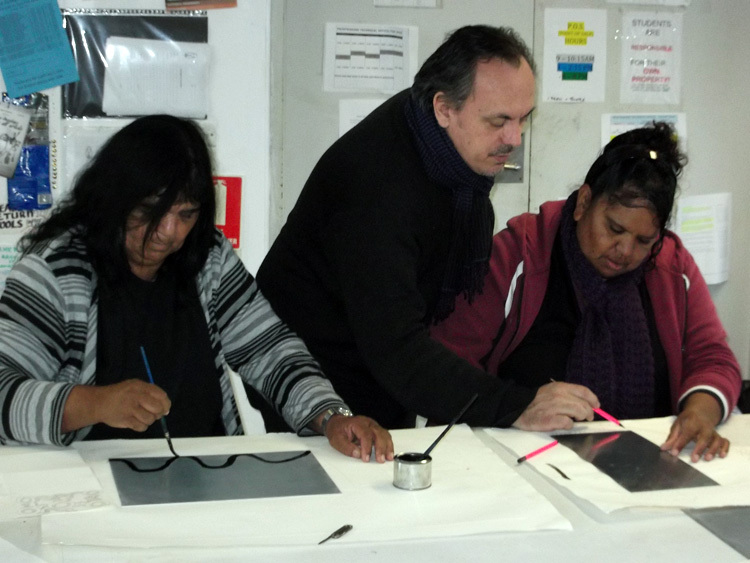 Each of the six artists completed several etchings with the support of Michael Kempson, Tess Allas and Angela Butler. It was a busy and hectic week, but the results were well worth the hard work. 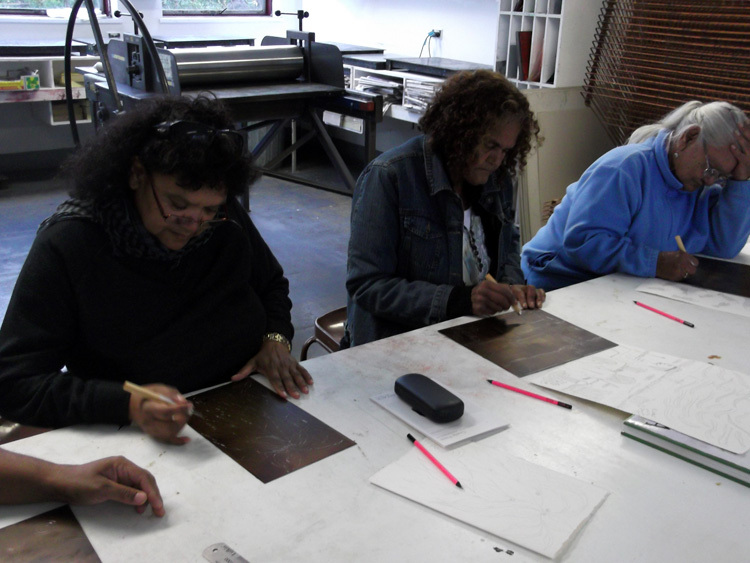 Cicada Press is currently hosting a group of artists from the Euraba Paper Company for a week long printmaking residency. 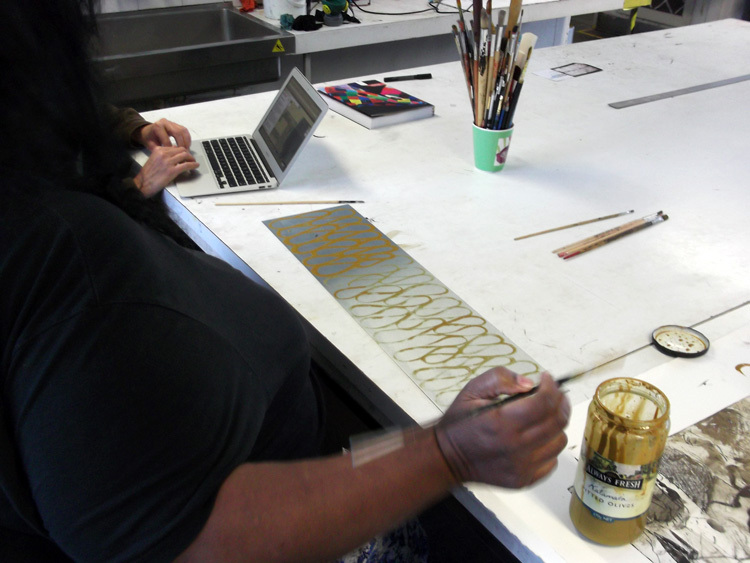 These women have been collaborating on paper making projects since 1998 and have recently been featured at the Sydney Biennale 2012 on Cockatoo Island. 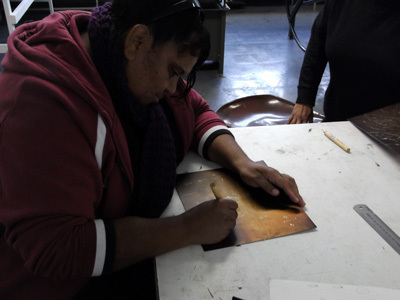 Two of the artists involved – Aunty May Hinch and Leonie Binge will also be exhibiting their work at Hazelhurst Regional Gallery as part of Naidoc Week 2012. 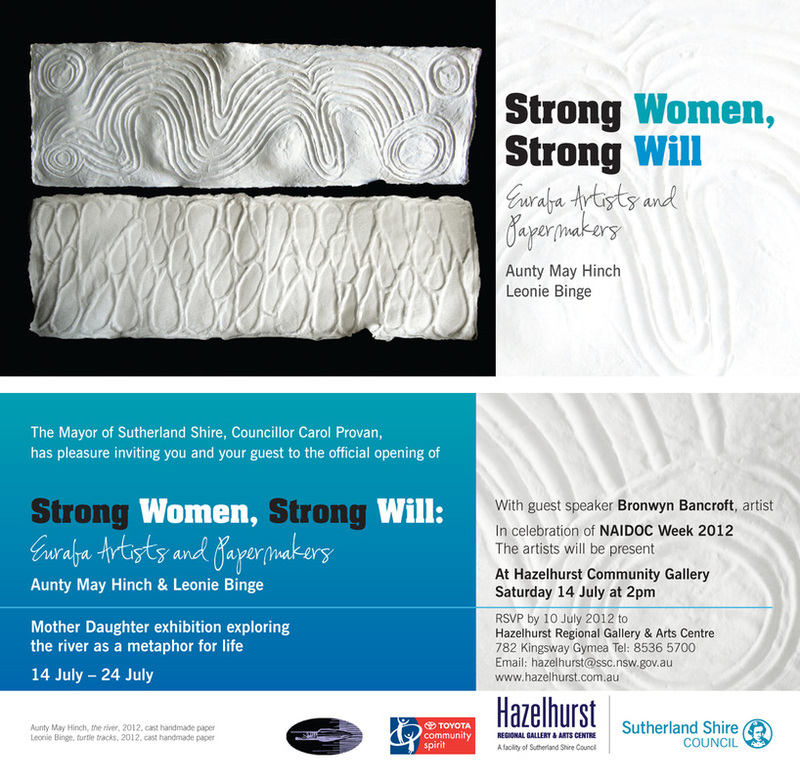 The exhibition will be opened on Saturday 14th of July (2pm) by artist Bronwyn Bancroft. More info and images from the Euraba residency at Cicada Press will be coming soon.